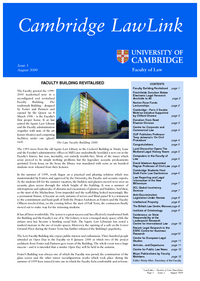 LawLink provides Faculty alumni, supporters, staff and students with news and information about Faculty events. 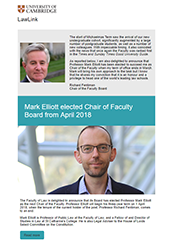 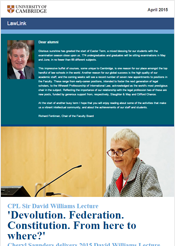 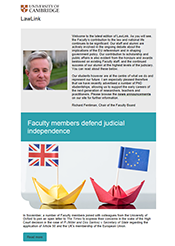 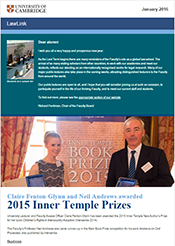 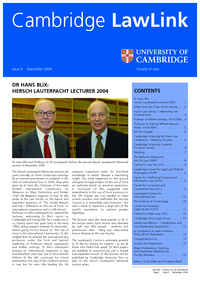 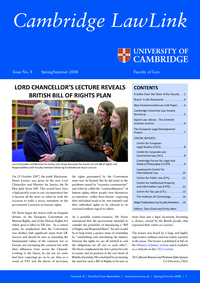 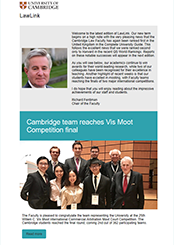 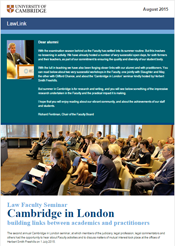 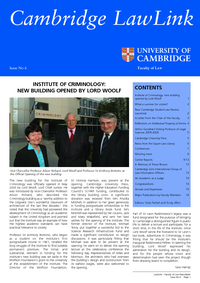 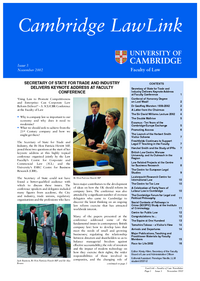 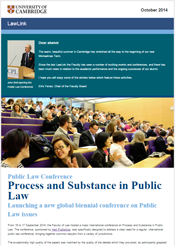 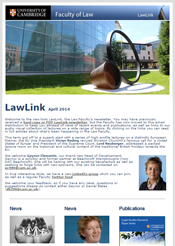 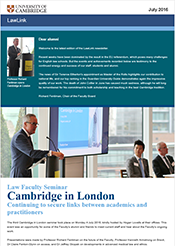 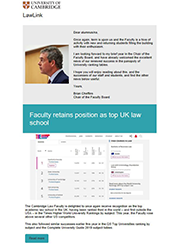 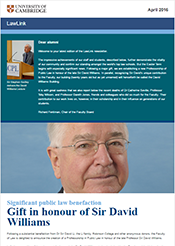 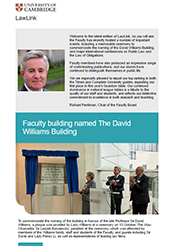 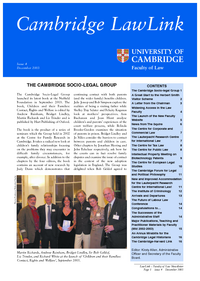 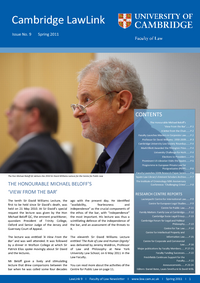 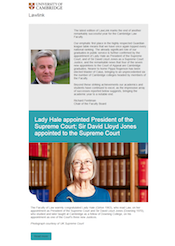 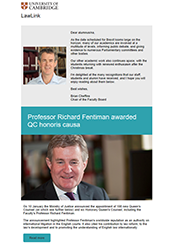 From April 2014, LawLink was distributed as an email bulletin to subscribers. 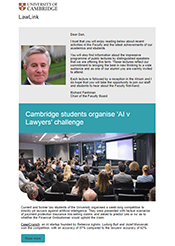 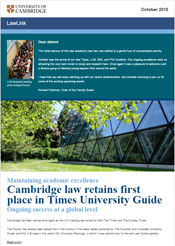 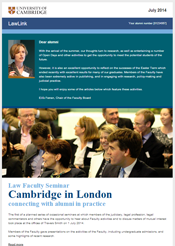 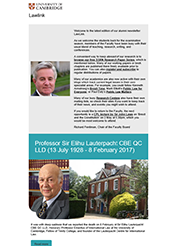 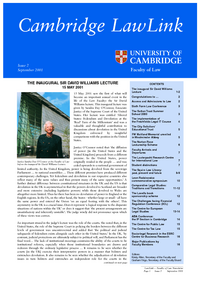 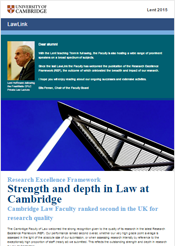 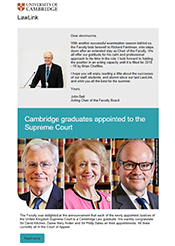 Alumni who do not receive LawLink and wish to subscribe should contact database@alumni.cam.ac.uk. 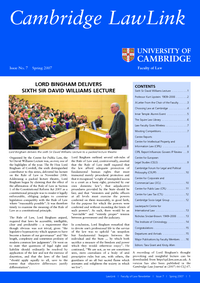 For LawLinks issued prior to April 2014, please click on the images for copies of the relevant issues in PDF format.